Since April 2016 SustainableEnergy has been supporting ADEL Sofala in the implementation of a EU supported honey value chain project. The project is part of a larger EU programme intended to spark new energy into rural economic development in several provinces of Mozambique. Moses Kakanu who is the project coordinator to ADEL explains the latest developments: “After a difficult start due to political and military tension in the area which ended in December 2016, the last year has been characterized by good progress. 360 beehives have so far been distributed among 39 beekeeper’s associations who have all been trained in what we call modern beekeeping. The beehives were delivered just when the bees were searching for new places to settle. The good timing secured that a high number of hives were colonized quickly. And now, finally, the first honey is being harvested, to the pleasure of all involved”. The fact that it is a value chain project means it is striving to make the value chain entities working better together and understand each other’s needs and demands. 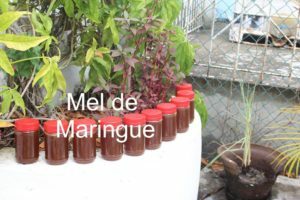 In the area there are whole sale buyers like Mozambique Honey Company and others. Such buyers are interested in buying honey of a good quality and in expected rather large quantities. 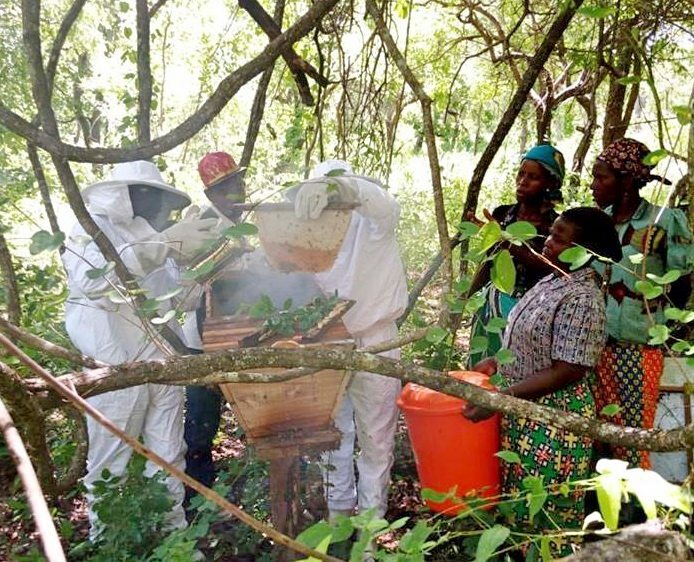 During the remaining last year of implementation, the project will focus on aiding the relation between such buyers and the beekeeper’s associations. Furthermore, the phase out strategy will build on self-motivated lead beekeepers having a long track-record of being self-motivated and capable of assisting fellow current and future beekeepers. In Maringue district, one of four project districts, the approach will be different. The project has facilitated the installment of a so-called honey house with the needed equipment to process and pack the honey. The honey house will be run as a social enterprise with the associations as the ultimate owners. The dream is to sell honey from one joint label to retailers like supermarkets and groceries in the province. “We are installing the honey house just now (March 2018). We will need all the remaining time of the project to get it to function well and create linkages to retailers”, Moses Kakanu reassures.